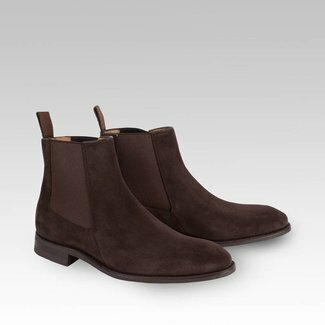 Carlos Santos chelsea boots in espresso brown suede are buil..
Carlos Santos unlined chukka in green suede have a single le..
Carlos Santos unlined chukka in light brown suede have a sin..
Carlos Santos full strap penny loafer in Guimarães Patina s..
Carlos Santos tassel loafer in polo brown suede have a singl..
Field Boots in grain burgundy have a single original dainite..
Carlos Santos chukka boots in grained burgundy have a dainit..
Carlos Santos in dark brown suede have a dainite rubber sole..
Carlos Santos shoes; a European shoemaker with a great sense of style. 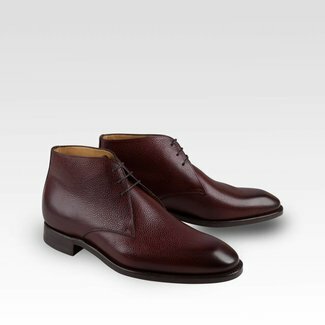 The factory has been manufacturing the finest men's shoes of superior quality for more than 70 years. 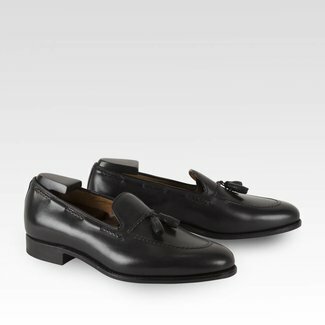 It started in the year 1942 when Carlos took his first step in the world of shoes. 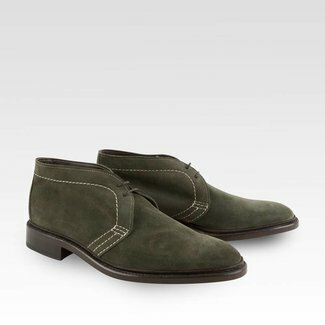 As a 14-year-old boy, he became fascinated by the manufacture of shoes and over the years has become an expert in the field of designing and producing handmade men's shoes. 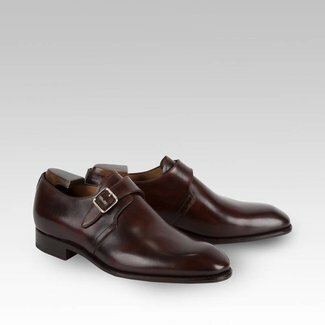 For the development of his own shoe brand, he invested many hours of his life in designing the most beautiful 'jewels' from his collection. 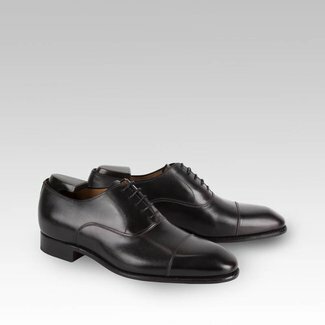 Designs that are now sold within and outside of Europe at the most prestigious shoe stores. It is, therefore, the worldwide recognition of the brand that Carlos is very proud of. The Carlos Santos factory with passionate professionals is located in the village of São João da Madeira, a town near Porto in the north of Portugal. In this factory, many quality shoes for men are manufactured that exudes class and style. 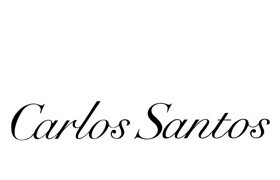 In the early years he produced mainly shoes for other brands, now Carlos Santos also produces shoes under his own name. 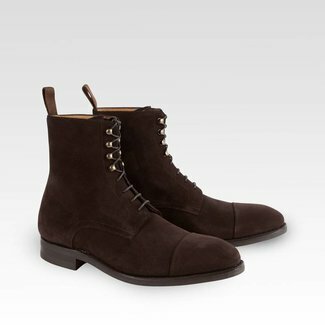 The leather comes from the best tanneries in Italy, France and the United Kingdom. We have had the honour to visit the factory in Portugal. Here we have received an extensive tour and we have experienced how skilled the employees are. 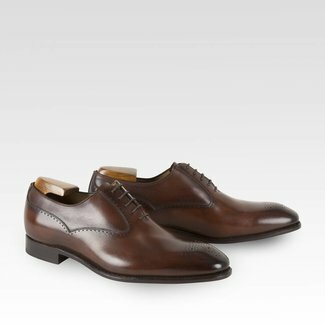 They manage to make the craft of men's shoes as the best. Although machines are used for many operations, it remains a labour-intensive process. 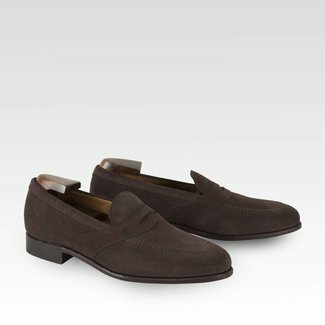 Each part is made by hand, from the leather to the stitching of the sole. From many reviews about Carlos Santos shoes, it is shown that people are very positive about the quality and high degree of finish of the Goodyear welted shoes. In terms of price-quality ratio, it is perhaps one of the best producers in Europe. But what is actually Goodyear? 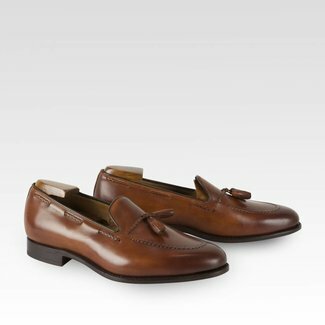 The two most common methods for the manufacture of men's shoes are Blake and Goodyear and relate to the sole construction. 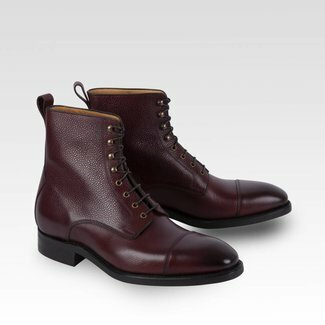 Goodyear welted is a production method in which the sole is glued and stitched twice. It is the most durable sole construction. 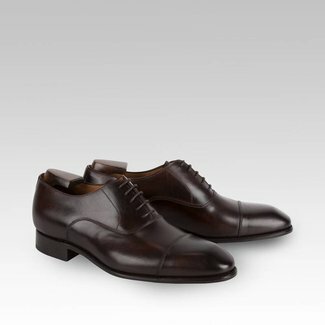 Carlos Santos Goodyear welted shoes are of the best quality you could wish for. 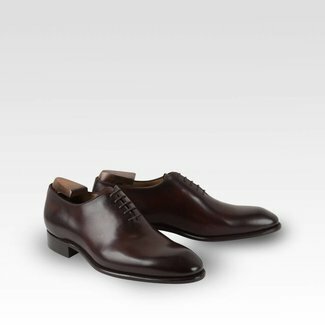 Patination is the technique of colouring shoes that are made of white leather, also called crust leather. 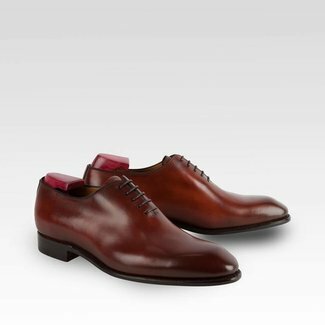 At Carlos Santos, two professionals work daily non-stop by hand-colouring and brushing these shoes. There are about 12 different colour palettes the customer can choose from. The depth of the colours and the beautiful shades of colour is what makes patination so special and makes each pair unique. In addition to various brown tones, specific colours are also possible as dark purple, blue, green and red. Most of these colours are named after Portuguese cities or areas including Algarve, Braga, Guimarães and Coimbra. 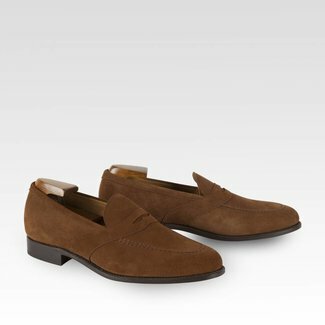 Carlos Santos straps are available in leathers of which the shoes are also made of, such as various colours suede, smooth and grained leather. The belts have a standard width of 35 mm and they all have a nickel buckle and belt loops. The belts of Carlos Santos are equipped with a screw which makes it possible to shorten a belt to any desired length. The belts are also produced in crust leather so that these can also be patinated, matching the patinated shoes of Carlos Santos. 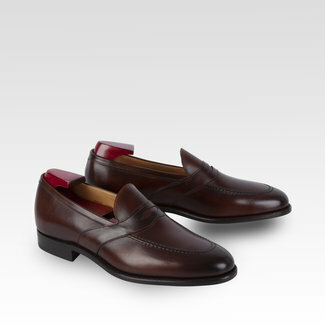 The lover of quality shoes should have a good pair of classic men's shoes in his closet. Our collection is wide, we have selected the best models for you. All made according to the Goodyear manufacturing method. 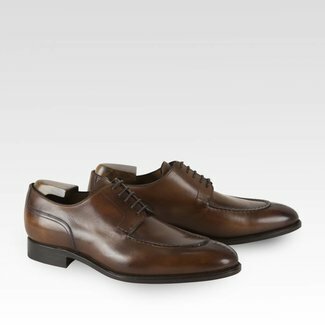 Classic is the Carlos Santos Coimbra, a stylish lace-up shoe with leather sole. Would you like it to be less classic? 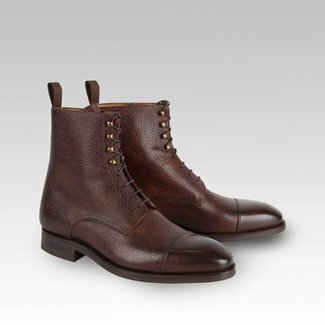 Then choose the Carlos Santos field boots from grain leather. 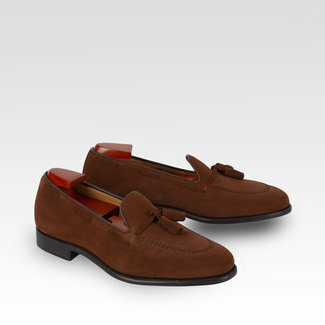 The penny loafers of suede are recommended for spring and summer. Do you want to buy classic men's shoes online? Order it online at Quality Shop and take advantage of our service. The Carlos Santos shoes are shipped for free and you have 14 calendar days to exchange or return them.